Here is a brief rundown of the activities that have been taking place in St Paul’s Bay – please contact the group if you wish to join in with any future activities everyone is welcome. 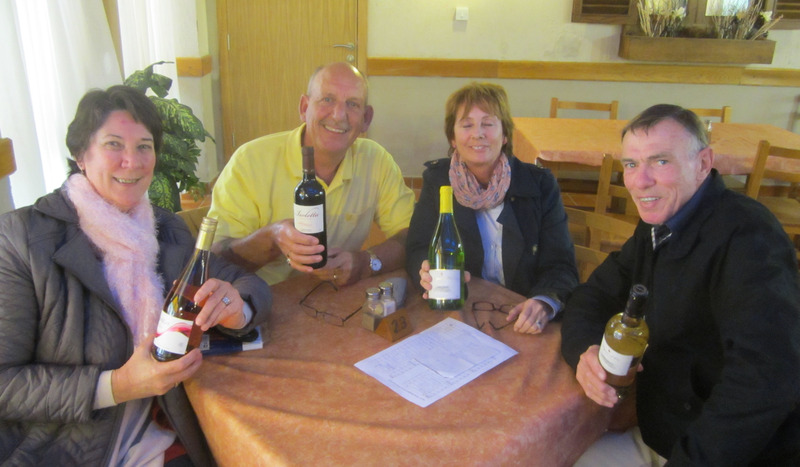 Our visit to Marsaxlokk, Malta’s biggest fishing village, on Monday, February 23rd was a great success despite yet more wet weather. The Water Polo Club restaurant served very good food as promised and everyone thoroughly enjoyed themselves. Our next luncheon club, on Monday, March 30th, will be a bit different for two reasons. First, we’re not going to Mellieha after all – the Easter display we were hoping to see won’t be happening this year – so we’ve decided to visit Smart City instead. We’ve heard about a brand new venue, the Londoner British Pub, so we’re anxious to give it a try. Their ‘one plate meals’ include fish & chips, steak & Guinness pie, half roast chicken, bangers & mash, lamb shank, Irish stew and chicken curry. Second difference is that, for once, we’ve decided to make it an evening trip. What’s the point of visiting Smart City and missing out on the laser show? We’ll arrange transport as usual. Hope to see you there. We had an excellent turnout for our February Supper Club despite the stormy weather and were rewarded with some great food at Ta Pawla restaurant in really enjoyable company. 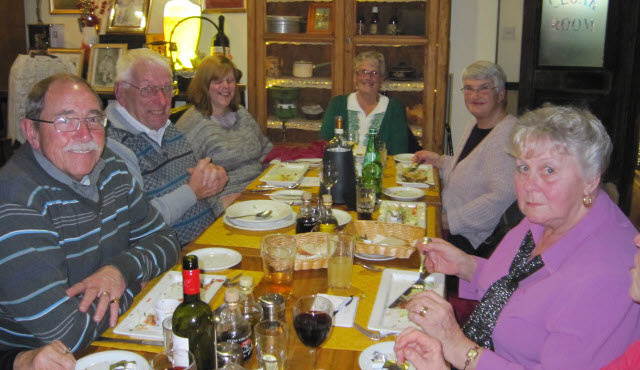 Our Supper Club meets on the 3rd Wednesday of every month at one of the many excellent restaurants in the local area. We’ll report back on our Chinese meal in the next newsletter. 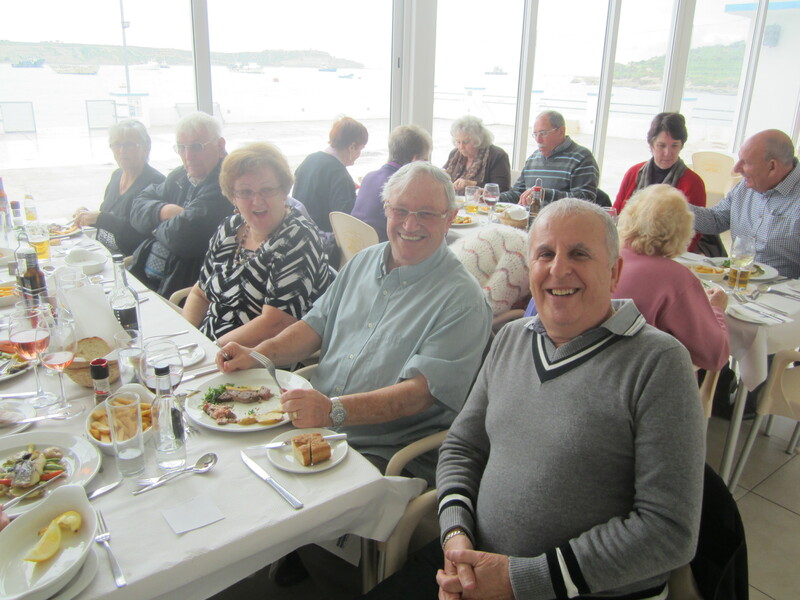 Our February Quiz and Bingo Afternoon was another very enjoyable occasion with a great turnout, including a number of tourists. This has now become a regular activity so we’ll be holding these on the third Friday of every month, 2-4 p.m., at the Canifor Hotel. As well as the quiz and two hands of bingo, the entry fee includes a cup of tea or coffee and a slice of cake . However, be warned! ‘Devious Dave’ sets the quiz so expect some easy-peasy questions, a few harder ones and, just maybe, the occasional trick question. O.k., maybe a few trick questions. No need to book, just turn up. All are welcome. Yet again, our walks have been affected by the weather, but we have seen some sunshine honest! On our walk around the Armier Bay area we were joined for part of the way by two tourists who turned out to be the Vicar of Bromley and her husband. 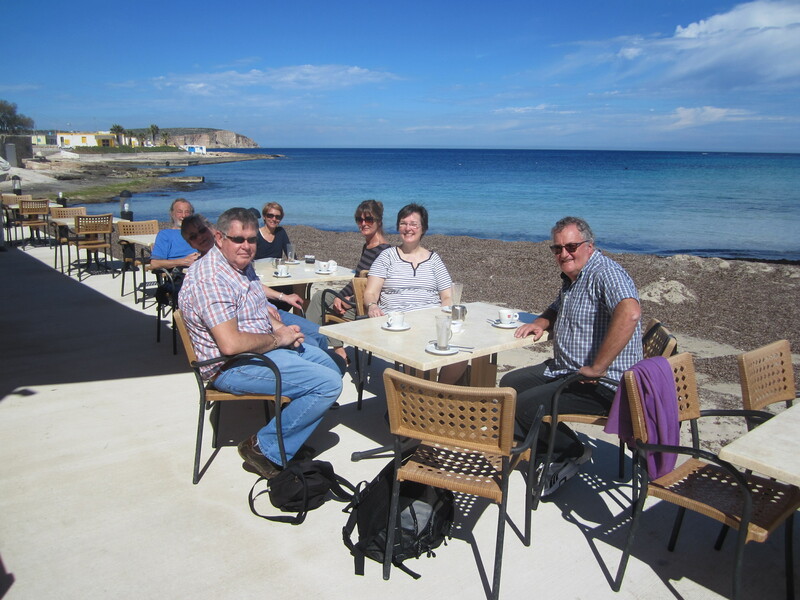 Here we are with the vicar enjoying a well-earned coffee towards the end of our walk You’ll always be assured of a warm welcome and good company whilst enjoying the best of Malta’s countryside and scenery. Our walks are always easy paced and usually last no more than two hours.